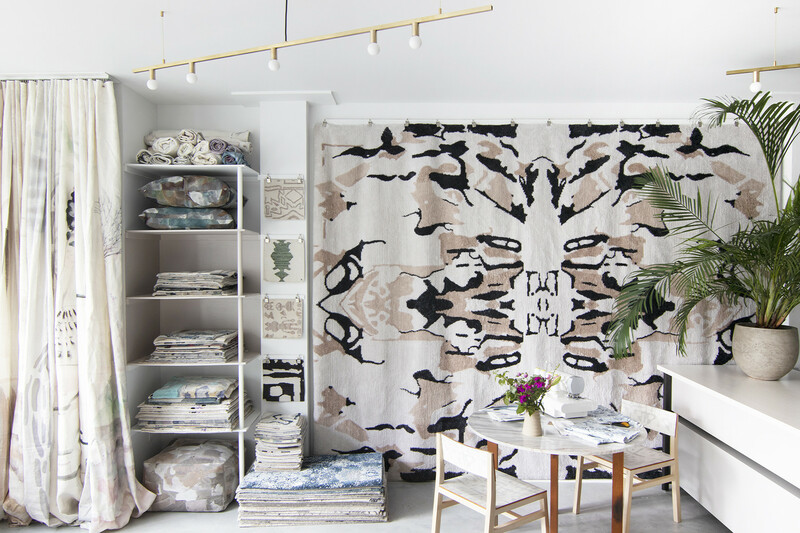 This textile showroom is anything but minimalist. Looking for fun textiles that totally pack an original punch? You definitely need to check out Eskayel, the design studio from Williamsburg-based creative Shanan Campanaro. 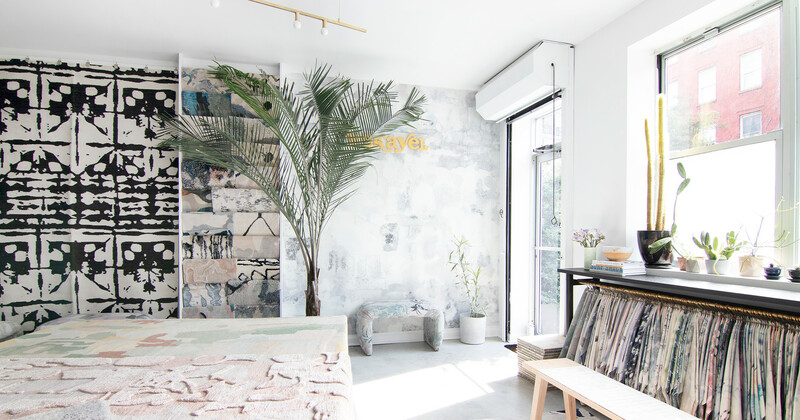 The artist-turned-designer creates one-of-a-kind works that translate into gorgeous fabrics, carpets, murals, and wallpapers that truly are statement makers. Best of all? 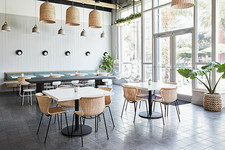 Eskayel focuses on creating sustainable works by using eco-friendly methods and even donates one percent of its total sales to environmental organizations in partnership with 1% for the Planet. 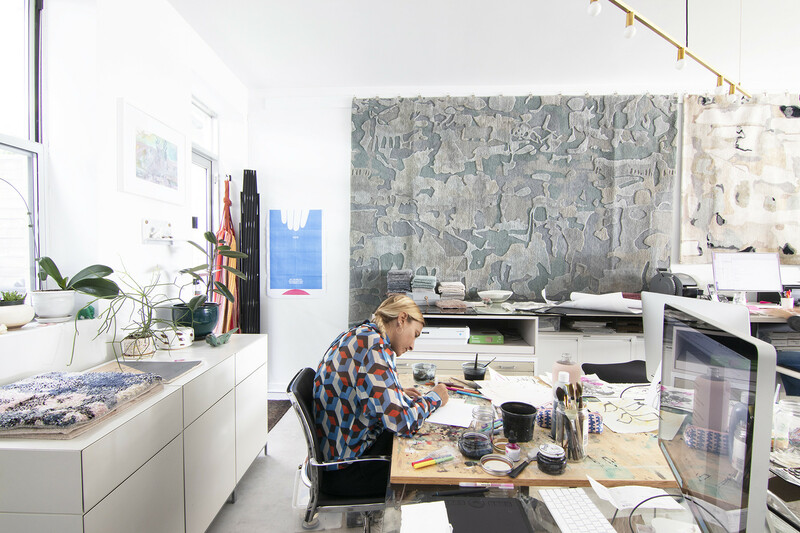 As the textile company is currently launching a few new collections ranging from a series of large-scale artworks to textural rugs, we caught up with founder Shanan Campanaro to tour her showroom and chat about her creative process and what it's like to be at the helm of a growing company. Read ahead to get insight into her exciting career. Lonny: What inspired you to first start Eskayel? 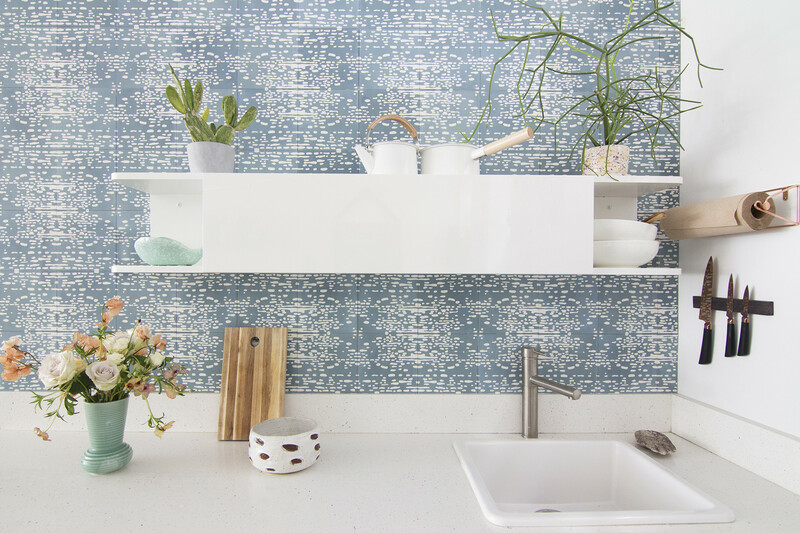 Shanan Campanaro: I always wanted to work in either fashion or interiors, but after several years in fashion, I accidentally switched gears by designing some wallpaper for my own apartment. This eventually led me to design a collection and launch Eskayel. It was a dream to figure out a way to achieve an income that came from my paintings in some way. How did you come to develop your signature bold aesthetic? SC: My aesthetic is definitely derived from what I think could look amazing in my own home. I have a strong aesthetic perspective that comes from staying true to me and my own tastes, not following trends. SC: I have to say we lucked out with this space! It’s on the ground floor and has great natural light coming from both the street side and back garden. The high ceilings and open floor plan give it a large feel, while the various plants throughout the space make it serene. The best part is that it is only two blocks away from my apartment. With an awesome team who I greatly appreciate, I look forward to coming to work every day! Where do you look for creative inspiration? SC: I find a lot of my inspiration through getting out of my everyday routine here in New York City. Traveling is very freeing for me and allows me to take time to think and immerse myself with a different surrounding. Nature and the ocean are where I find most of my inspiration, but lately I’ve even drawn creativeness from cities I have visited. 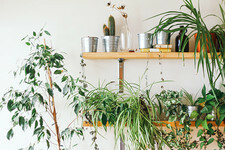 Some creatives like to work in a minimal space but yours is filled with all your bold designs. Is being in a vibrant environment important to your process? SC: Being in a vibrant environment is not necessarily my preference — it is just what I have to do. I am actually a neat freak and work best when everything is in an organized place. This is hard to do in a textile design studio since the studio is constantly pulling different products and making a mess to clean up! Personally, I would love to have a separate minimal space to be creative, but at this time I need to be present managing the day-to-day of running the business. How has your business changed over the years and how do you hope to see it continue to grow? SC: Over the last 10 years we have grown slowly and steadily, which has been ideal. I was always afraid of growing too fast and not being able to manage the business or my life in a way that will still be enjoyable. I figured why have your own business if it isn’t fun? I am really happy with the solid growth and the addition of key products to the wallpaper line, fabric by the yard, pillows, and seating. Our latest introductions are silk rugs and woven jacquard fabric that have been very popular. All Eskayel patterns will now be available in jacquard per our clients’ request! Opening the showroom was also a huge milestone for Eskayel Studio. We have always had a live/work space, until finding out current showroom that is perfect for showing all of our products, having events, and enough space for our team to spread out! SC: As nature and travel are what inspires us most, our products are not only eco-friendly and sustainable sourced, but we also give 1% of our sales to a global network of non-profit organizations that are dedicated to protecting our planet. We also recently relaunched a more comprehensive website that makes it easier for our clients to see all the various patterns and products that are offered — check it out!